I am really not a fan of Beyonce but this here, is crazy! People gathered for a Beyonce mass? 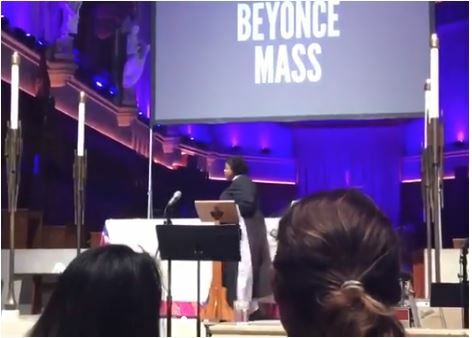 San Francisco’s Grace Cathedral looked and sounded more like a concert than a church for a first-of-its-kind Beyonce Mass that held yesterday. Normally, the Wednesday night vine service has 50 people in attendance but with Beyonce’s name included, the service had 900 attendants. “We didn’t expect this response,” said Reverend Jude Harmon. He adds that Grace Cathedral put the invite to the service on Facebook and it blew up. “We thought it would be kind of a small exploration as a community about what it means to lift up black female voices because traditionally the church hasn’t done a great job of that. 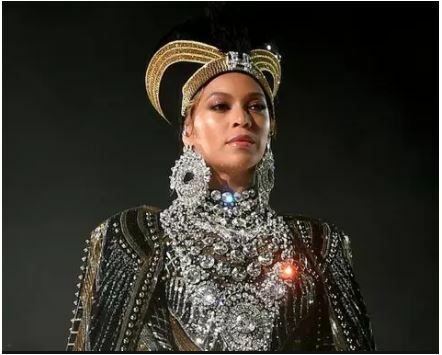 I use Beyonce as a central figure to have these conversations about the realities that black women face,” said Reverand Yolanda Norton of the San Francisco Theological Seminary.